Dr. Neeraj Narula is an assistant professor of medicine at McMaster University. He is the director of the IBD clinic and staff gastroenterologist at Hamilton Health Sciences. He completed the Present-Levison advanced IBD fellowship in Mount Sinai Medical Centre in New York, NY, in 2015. 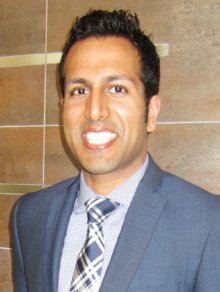 He trained to be a Chartered Accountant at the University of Waterloo and has worked at Ernst & Young and KPMG. He subsequently attended medical school at the University of Alberta. He completed internal medicine residency and gastroenterology fellowship training at McMaster University. He completed a Masters of Public Health at Harvard TH Chan School of Public Health. His research interests are predominantly in clinical epidemiology, nutrition, and pharmaceutical trials in IBD.